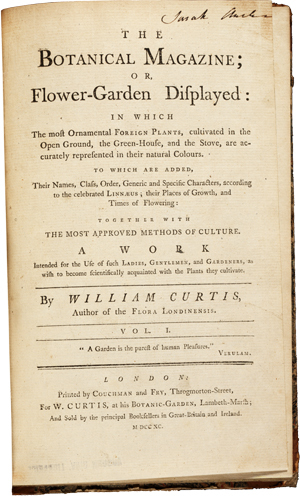 founded by William Curtis. 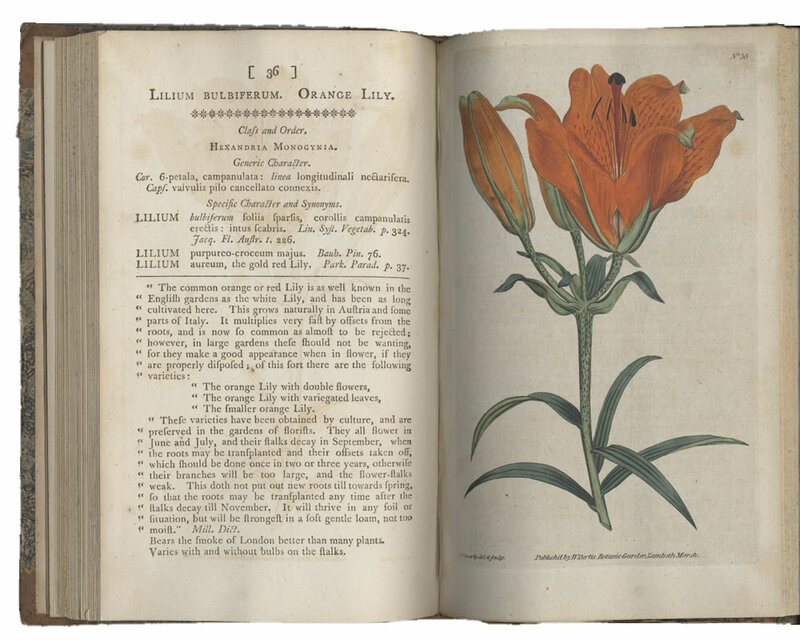 The library has a complete set of Curtis's Botanical Magazine beginning with the first volume from 1787 which includes this hand colored engraving of the Lilium Bulbiferum or Orange Lily. 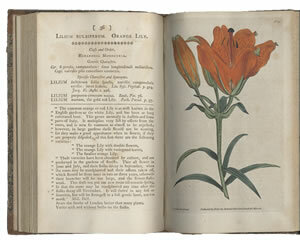 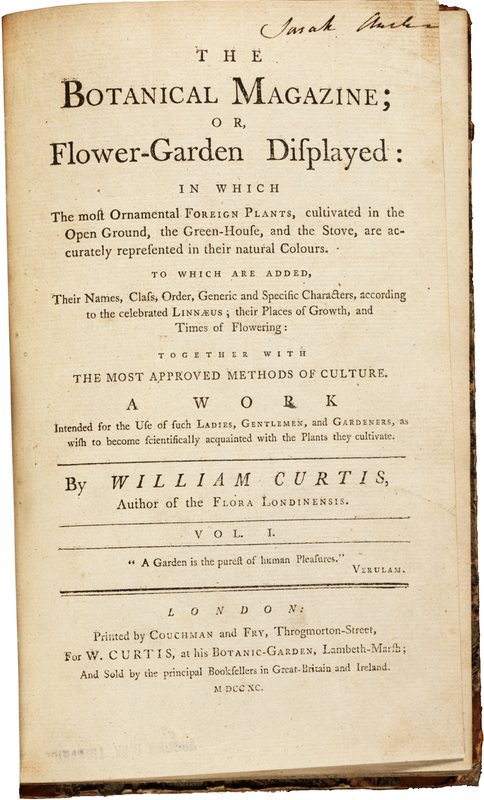 Each four part volume contains twenty-four plant portraits with accompanying horticultural and botanical information.